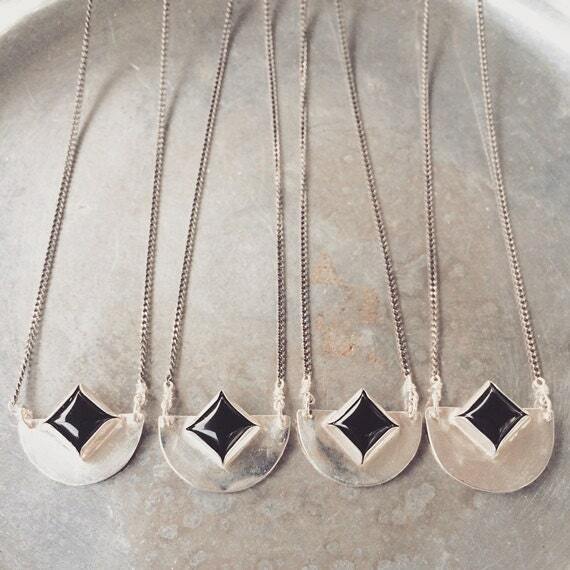 These beautiful pendants are hand cut and soldered sterling silver metal with a black onyx set in the center. A lovely focal piece. 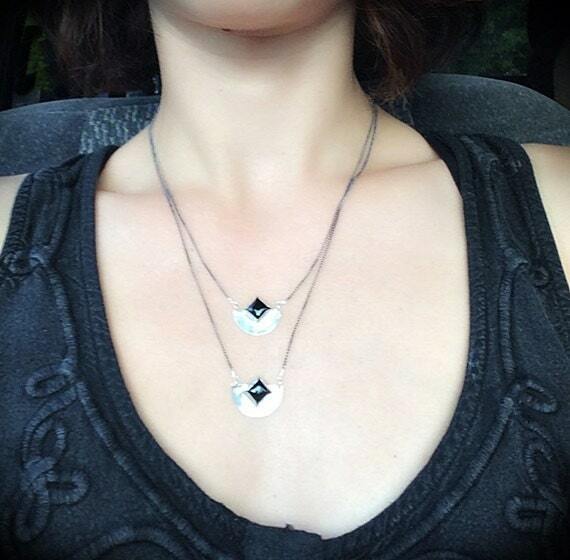 The chain is a small gunmetal curb chain and closes with a silver clasp. There are two lengths available in the drop down box to the right, you can choose 16" or 18". If you prefer a different length, or have any questions, please convo me.